sounds like a replacement vessel will be put in place. This entry was posted in ACL, container ship, oops on March 29, 2019 by Peter. Dominion Warrior went to work of Maughers Beach recently. this looks to be the workboats first job since it was imported last March. the large navy trot buoys denote the Static Sound Range, so the work just to the west of it may be related. This entry was posted in Work Boat on March 28, 2019 by Peter. The bulk carrier Nordpol put in for bunkers yesterday before sailing for the Cape Verde Islands.the Ship, and its sister Nordkap had been on charter moving bauxite to Sept-Iles but with that charter over, the ships have been sold. This entry was posted in bulker on March 28, 2019 by Peter. This entry was posted in bulker, CSL on March 25, 2019 by Peter. 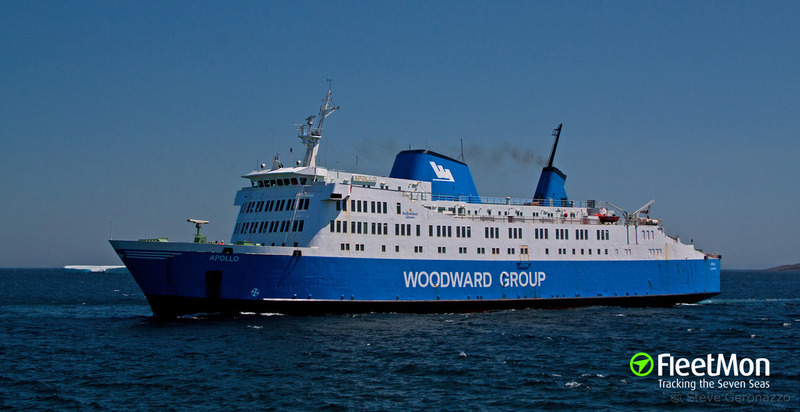 The Nova Pilot and Scotia Pilot had seemingly returned to halifax, but have yet to return the service. The Captain E.T. Rogers (Ex Halifax Boat Chubucto Pilot) is still covering most of the Arrivals and Departures. the Nova Pilot and Scotia Pilot are both Jet powered boats, that were imported form Europe. Both suffered engine issues and loss of power, which led to them being sidelined and sent for repairs. This entry was posted in pilot on March 25, 2019 by Peter. The Cruise ship Viking Sky lost power and declared a mayday on Saturday off Norway. The ship was able to Anchor, and eventually restored some power and made it safely to port Sunday. 400 of 1300 people on board were evacuated by Helicopter. This was a significant near miss. Viking Sky entered service in 2017, and has called on Halifax. the ship carries 930 Passengers, and 560 crew. cruiselawnews.com reports 18 incidents of ships loosing power in 2016. Cruise Junkie tracks Cruse ship incidents of all types. Below are some tweets which captured the situation. This entry was posted in cruise ship, oops on March 25, 2019 by Peter. Sunday morning there was a collision between two ships in Vancouver Harbour. The Inbound, laden bulk Carrier Caravos Harmony struck the anchored bulk carrier Pan Acacia. The Caravos Harmony, with pilot aboard, was heading to anchor for bunkers after sailing from Tacoma Wa. The collision happened just after midnight. The Caravos harmony suffered damage to the ships bow. The Pan Acacia was holed amidships above the waterline, possibly from Caravos Harmony’s protruding anchor hawse pipe. Fortunately there were no reports of Injury or Pollution. From the AIS tracks available online, it appears as though the Caravos Harmony was slowing as it approached an anchorage, before it collided with the Pan Acacia. I have been told that ship had lost power. The ship actually made 2 course changes towards the Pan Acacia, which I was told by an official with the Pacific Pilotage Authority was the result of the ships stern being pushed around by a 3 knot current, and the second course change was caused by the crew dropping the wrong anchor in an attempt to avoid a collision. The Caravos Harmony loosing power is all the more problematic, when one looks up the ship in the Paris MOU Port State inspection Database . The Ship was inspected in Port Moody B.C. between June 14-19 2018, and 3 deficiencies were noted. The Engine room was found to be Unclean, The Main Propulsion Engine was found to produce insufficient power, and the Bilge pumping arrangements were not as required. while the database does not identify the specific issues, the ship was not detained. The Caravos Harmony Sailed for Inchon Korea early morning Tuesday the 19th. the Pan Acacia remains at anchor for repair work. This entry was posted in bulker, oops on March 22, 2019 by Peter. The Jana Desgagnes, lost its steering approx. 16 nautical miles southwest of Port aux Basques. the cause is likely Ice damage to the rudder. The CCGS Captain Molly Kool took the ship under tow through ice, in what is an impressive tow in difficult conditions. The Jana Desgagnes is an ice class products tanker run by the Quebec based Desgagnes Group. The tow was taken on the grounds of preventing pollution. Historically the CG has not offered tows, or intervened with insufficient time to allow for a plan B. The CG reports they are awaiting commercial Tugs. However why does the coast guard not simply complete the tow and charge commercial rates. – certainly the funds could be used for fleet renewal. The Heavy icebreaker CCGS Louis Ste Laurent is standing by on scene as well. Jana Desgagnes in Halifax in 2014. The Mckeil Tug Lois M responded from Sydney, however the tow was taken up again By the CCGS Captain Molly Kool due to difficult Ice conditions. This entry was posted in CCGS on March 22, 2019 by Peter.